Why See San Francisco Symphony - Janowski Conducts Wagner's Love Music? 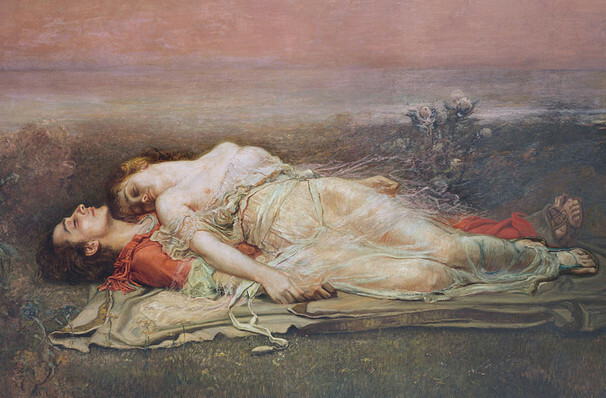 The San Francisco Symphony gears up for an evening celebrating the glory of love and intimacy in this program including extracts from two of Wagner's most influential and beloved operas - the exploration of love that and sensuality that is the Venusburg music from Tannhauser and the aching Liebestod from passionate 12th century romance Tristan und Isolde. Also featured is will be a special appearance from James Ehnes, lending his talents to Bruch's ever popular Violin Concerto No. 1. Sound good to you? Share this page on social media and let your friends know about San Francisco Symphony - Janowski Conducts Wagner's Love Music at Davies Symphony Hall. Please note: The term Davies Symphony Hall and/or San Francisco Symphony - Janowski Conducts Wagner's Love Music as well as all associated graphics, logos, and/or other trademarks, tradenames or copyrights are the property of the Davies Symphony Hall and/or San Francisco Symphony - Janowski Conducts Wagner's Love Music and are used herein for factual descriptive purposes only. 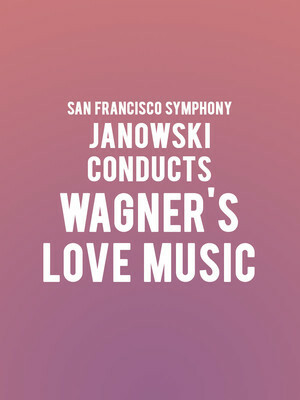 We are in no way associated with or authorized by the Davies Symphony Hall and/or San Francisco Symphony - Janowski Conducts Wagner's Love Music and neither that entity nor any of its affiliates have licensed or endorsed us to sell tickets, goods and or services in conjunction with their events.